We are the leading manufacturer and supplier of Aluminum & Iron Truss to our valuable clients. we used the best material alloy 6082T6. this grade is the best for aluminium truss. Tower Erection System is very attractive and very easy to use. 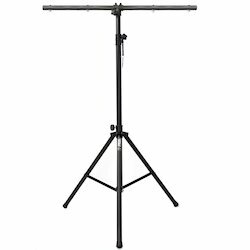 Keeping in view the varied demands of our respected clientele; we are betrothed in providing to our patrons an inclusive series Line Array Truss. Our firm specializes in offering an excellent range of Line Array Truss. To maintain industry defined quality standards, the entire range of truss is manufactured using quality proven raw-material and cutting-edge technology. Also, the entire range is examined properly by our quality experts upon distinct parameters of quality. In line with industry set standard we provide this truss in various sizes and shapes as per the ever-evolving needs of our clients. This is a t stand truss . 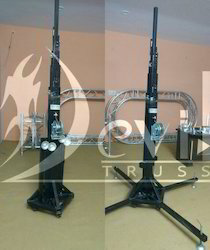 This is used for small dj events .the capacity of this product is 250kg and the maximum height is 20ft .if you need extra heavy loading capacity or extra height no issue we make any design for you beacuse we are always ready to give a excellent product to our coustmer and we have our fully in house production. 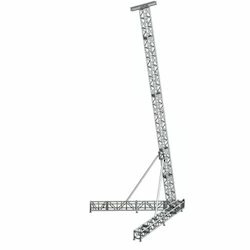 Looking for Tower Erection System ?